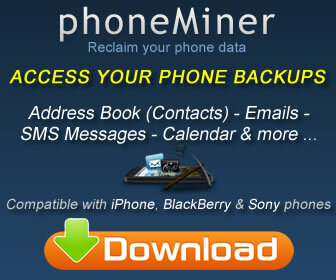 The .MDINFO file extension belongs to files created via the iPhone and iPod touch backup process. When backing up your iPhone data to your PC, a .MDINFO file is generated which holds information on the filenames. These .MDINFO files have a corresponding .mddata file. From iPhone's .MDINFO & MDDATA File's, can you open them up to get phone numbers and contact information that is lost? My last full backup I made a few days ago is not on my backup log to reset on my phone. I had to reset phone from a faulty 3rd party app in itunes that froze my phone. Could not find the application, so I backed up and decided to reset phone. The backup from 2 days ago is gone, and I'm left with a back up from nearly 7 months ago that my PC strangely decided to save and not my most recent(s). I back up once a week normally. Just need help as Apple Techs can do anything for me, so this is my last resort. Can I read these files to get my phone contact info? I saved some backup files on my laptop. They are .mdinfo and .mddata files. Unfortunately, I cannot seem to read them. Can you help at all?